Water film location? Amazingly varied ports and harbours in Angus, Dundee, Fife and Perthshire from historic to industrial with oil rigs. 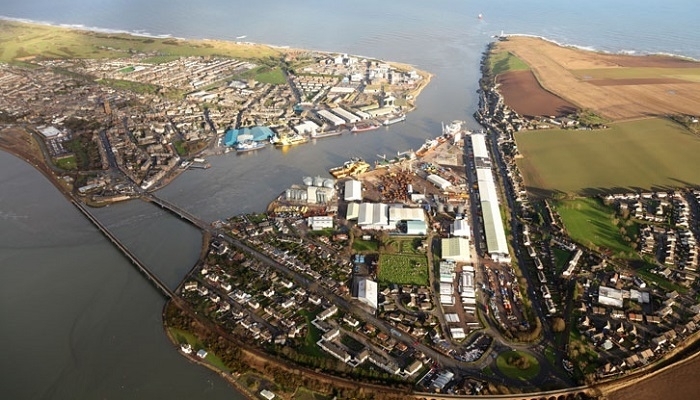 Aerial view of the port of Montrose, Angus North Sea coast. 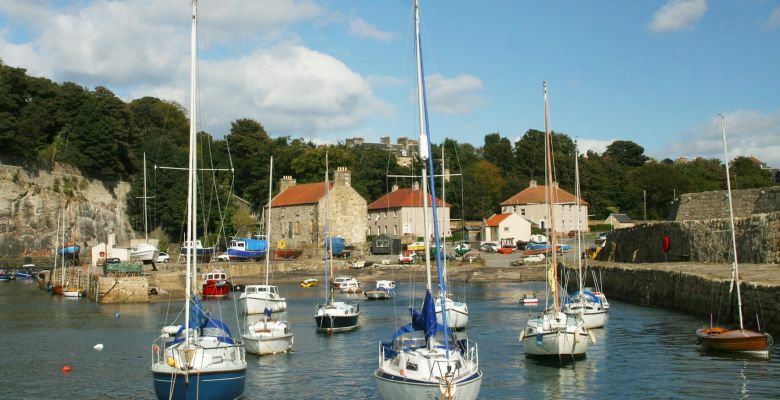 It dates back to the 12th Century and is an industrial port developed on the north and south banks of the River Esk and forming a gateway to the Montrose basin filled with birds and other wildlife. There's more information at Monrose Port Authority. Anstruther Harbour, East Neuk of Fife is a beatuiful fishing village and home to the historic Reaper boat and Scottish Fisheries Museum. See more at Welcome to Fife. Dundee City Port with oil rigs. Currently there are at least a dozen rigs in at the port which also hosts cruise ships and the historic warship, the Unicorn. For more on Dundee Port go to Dundee Waterfront. It dates back to the 1400's. It offered a unique backdrop for TV drama "Outlander" (Sony/Starz). Sneak peak below behind the scenes and read more on its history at Dysart Trust. Perth City Harbour has existed since medieval times and is now a modern port, 30 miles inland from the North Sea on the River Tay, It receives cargo shipped from Europe, the Baltic and Scandinavia. There's more informatin at Perth Harbour. 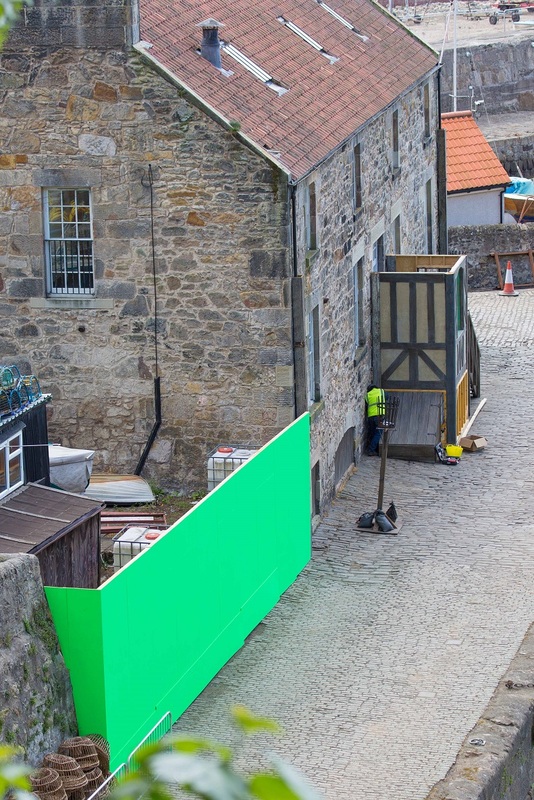 Dysart Harbour playing a starring role in TV drama "Outlander" (Sony/Starz).